Ravana was the one who sang this Shiv tandav strotram /Stuti the very first time for Shiva . Ravana was overwhelmed after winning over Kuber . Kuber was the step-brother of Ravana , and the King of Lanka before Ravana . They both were the sons of Great Rishi Visharva. Kaikesi was the mother of Ravana, who was a Datya( cast of demons) and devi Llavila , the first wife of Rishi Visharva, was the mother of Kuber. It was the day when Ravana defeated Kubera and he was ridding the sky in Pushpak Veemaan (the flying chariot) which he won from Kubera along with the Kingdom of Lanka. A a sudden his Chariot stopped at Mount Kailash and he was disturbed by the thought that his Chariot can not cross over Kailash( Mount Kailash is the home of Lord Shiva). Ravana ordered the Mount to get off his way, but the Mount asked him to change his path as Lord Shiva and Goddess Parvati are resting over him and he is bound to stay at his position. The refusal of Mount annoyed Ravana , he again warned him to get off his way else he will uproot him. Arrogant Ravana Got off his Chariot and tried to remove it with his own hands. Ravana even succeeded to lift the mount for a while but lord Shiva in order to teach him a lesson, presses the mountain with his Toe. Ravana was unable to lift it for any longer and his hands were pressed under the mount. Ravana realised his mistake, being the son of a Great Sage, he was a Vidvaani (knowledgable). 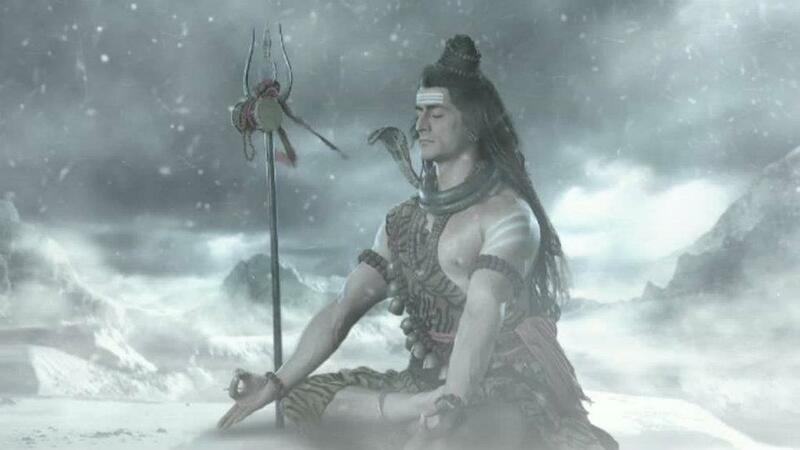 To impress Shiva he sang Shiva tandavstrotram. Shiva gets impressed and gives him Chandrahas Sword, an invincible weapon, as a boon. Ravana became the Devotee of Shiva. the omnipotent and all pervading Brahma, manifest(Swaroop) as the Vedas. It is always springtime in the lotus of His heart I bow down to Bhava (Shiva), as well as to Bhavani (Parvati) who accompanies Him. Thank you for sharing excellent informations. Your site is so cool. I’m impressed by the details that you’ve on this site. It reveals how nicely you perceive this subject. Bookmarked this website page, will come back for more articles. You, my pal, ROCK! I found simply the information I already searched everywhere and simply couldn’t come across. What a great web site. Greetings from Carolina! I’m bored to be able to death at work and so i decided to check out your internet site on my iphone in the course of lunch break. I love the knowledge you present right here and can’t wait to take a look when I get home. I’m shocked at how quick your site loaded on my phone, I am not even using WIFI, just 3G. Anyways, wonderful site! I have been browsing on-line greater than 3 hours nowadays, yet I by no means discovered any fascinating article like yours. It’s lovely price sufficient for me. Personally, if all site owners and bloggers made good content as you probably did, the internet will probably be a lot more useful than ever before. “Nothing will come of nothing.” by William Shakespeare. Really nice layout and great written content , absolutely nothing else we require : D.
You have mentioned very interesting details ! ps decent website . “I understand a fury in your words, But not the words.” by William Shakespeare. I’d been honored to get a call from my friend as soon as he observed the important ideas shared on your own site. Studying your blog post is a real great experience. Many thanks for thinking of readers like me, and I desire for you the best of achievements as a professional in this surface area. Thanks a ton for being the coach on this matter. I enjoyed your own article quite definitely and most of all cherished how you handled the aspect I regarded as being controversial. You happen to be always extremely kind to readers much like me and aid me in my life. Thank you. hi!,I love your writing so a lot! percentage we keep up a correspondence more approximately your post on AOL? I need an expert on this space to solve my problem. May be that is you! Taking a look ahead to see you. It was the Shiva Taandava Stotram and not the Shiva Stuti as you’ve mentioned that Raavana composed. The slokas with their meanings are all different. Great work, just what I was searching for. Thanks a lot. Thank you for sharing excellent information. Your site is so cool. I’m impressed by the details that you’ve on this site. If You are locking related content you can visit here .